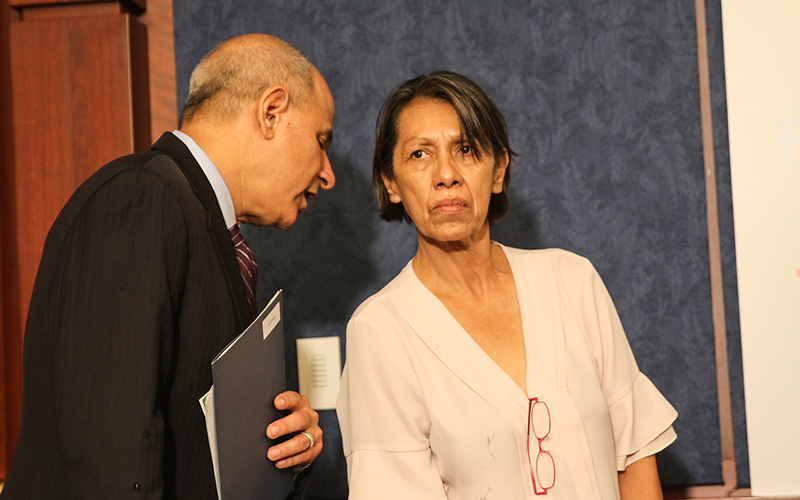 WASHINGTON – Tucson mom Linda Robles was in Washington Wednesday to demand that the Environmental Protection Agency ban TCE, the chemical she blames for the death of one daughter and the birth defects of three other children. The EPA has identified TCE – trichloroethylene – as a toxic chemical that is “carcinogenic to humans by all routes of exposure” and that can affect fetuses even through short-term exposure. TCE is used as a refrigerant, as an industrial solvent for degreasing metals and in some dry-cleaning uses. The chemical was included in an amendment to the Toxic Substances Control Act that was signed into law by President Barack Obama in the last month of his term. The EPA moved in December 2016 to ban the chemical as an aerosol degreaser and as a dry-cleaning agent, and in January 2017, it started the process of banning it as a commercial degreasing vapor. But since then, progress on further limiting the chemical has stalled. Parents at Wednesday’s event, hosted by Sen. Tom Udall, D-New Mexico, said delaying the ban is not acceptable when their communities and families are still feeling the negative impacts of the chemical, which can remain in groundwater and in the air for years. The parents, including Robles and her husband, shared the stories of how TCE has affected them. Kari Rhinehart from Franklin, Indiana, said her daughter was diagnosed with the same kind of rare brain tumor inflicting Sen. John McCain, R-Arizona. Her daughter, Emma, died of cancer four years ago. 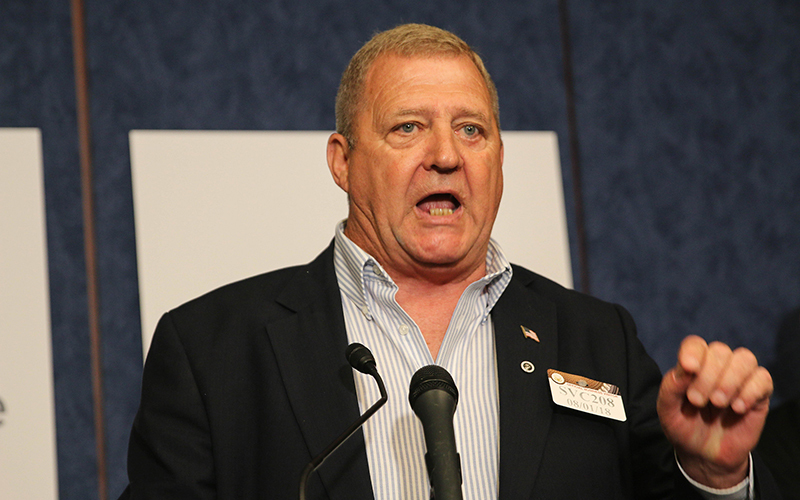 Jerry Ensminger said his daughter was exposed while in the womb to TCE at the Marine Corps’ Camp Lejeune in North Carolina, and she died of cancer in 1985. Ten years later, he saw a news report about contamination at the base. Robles said her children were exposed to TCE pollution left by military contractors at the airport near their south Tucson neighborhood. Her children all were born prematurely and all had birth defects, such as heart murmurs, nasal-cavity deformities and cleft palates. Her daughter, Tianna, died in 2007, four years after being diagnosed with lupus. The parents blamed former EPA Administrator Scott Pruitt for the delay on a TCE ban, an issue that Sen. Cory Booker, D-New Jersey, pressed in a Senate hearing Wednesday morning with acting EPA Administrator Andrew Wheeler. Booker asked Wheeler, whose appointment still needs Senate confirmation, whether the agency would investigate TCE pollution of land, air and water. Wheeler said that he believes the agency has done so, according to a video of the hearing. EPA officials did not immediately comment Wednesday on the status of a ban. 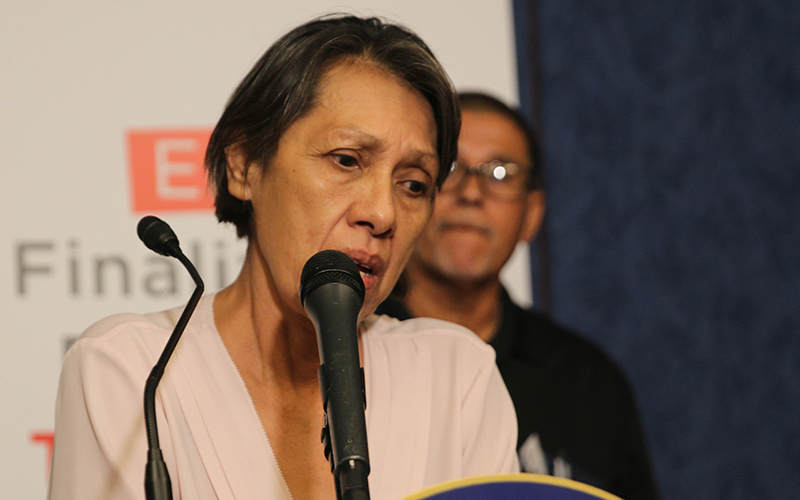 Beyond banning the substance, Robles said there’s more to be done. She wants the EPA to relocate and compensate people affected by TCE pollution, and to make the polluters pay for the cleanup.